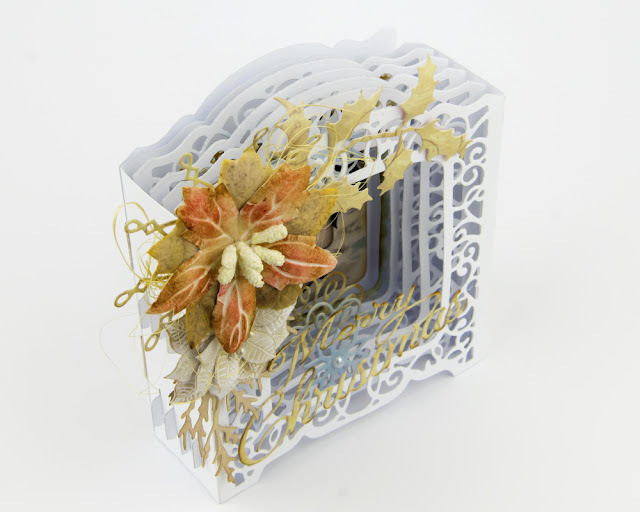 I'd like to share with my first 3D Vignettes card. I've made it for Christmas Party for my tutor. 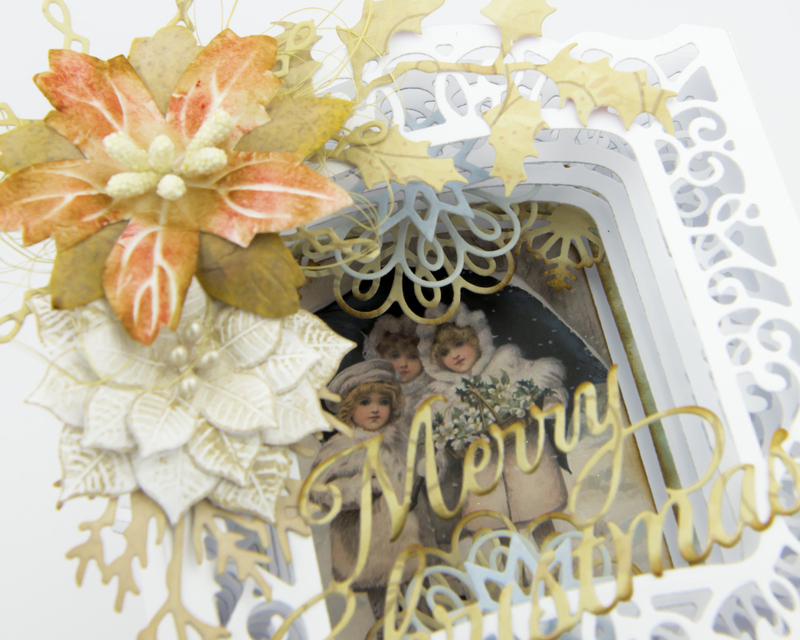 The set I show you is S6-139 Grand Cabinet Card. 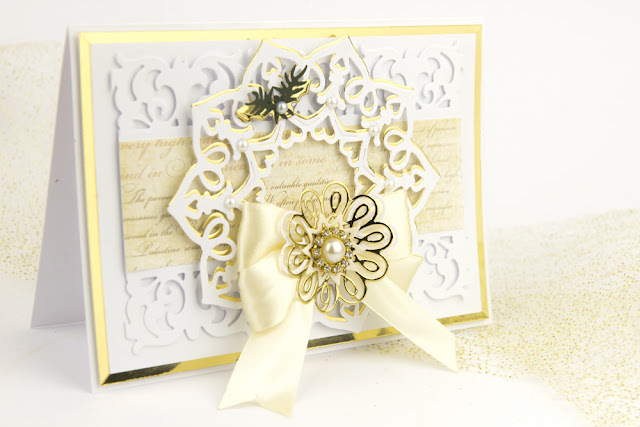 I started creating this card a few months ago. My intention was to make a birthday card but after I cut the background I lost the idea. When I'd got the beautiful Collection - A Charming Christmas by Becca Feeken I decided to finish my card. 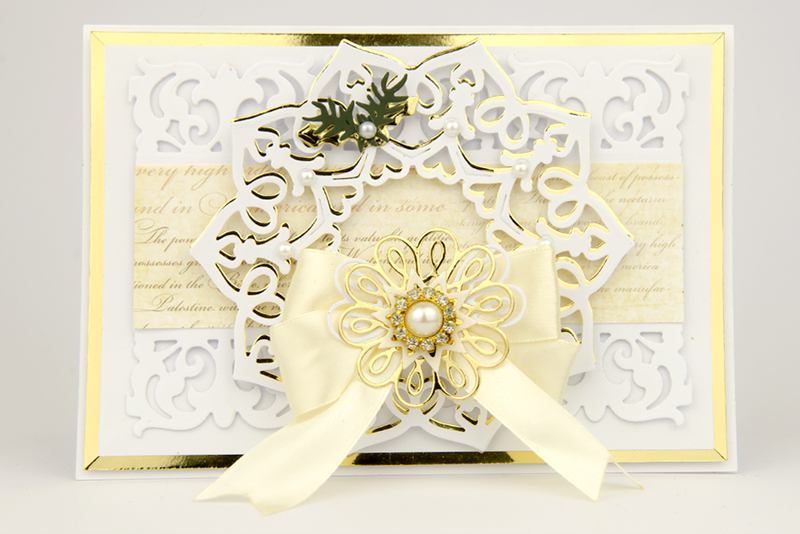 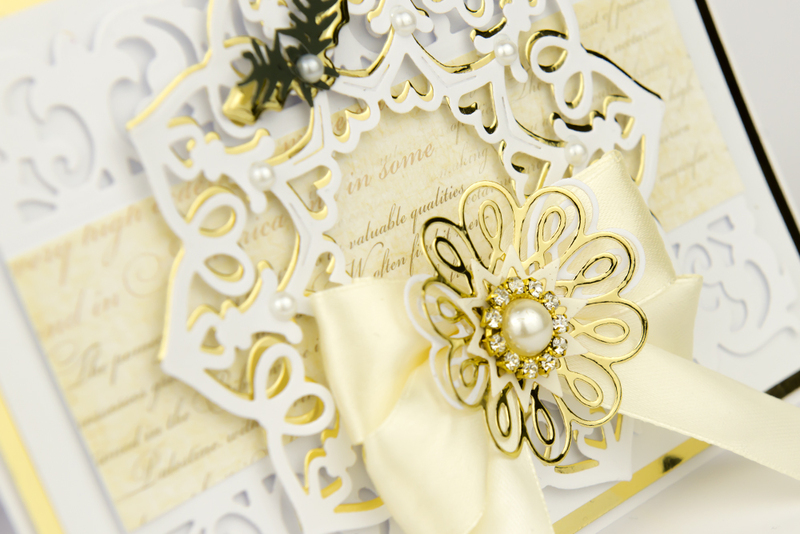 The background is created with Graceful Damask from Amazing Paper Grace Collection. 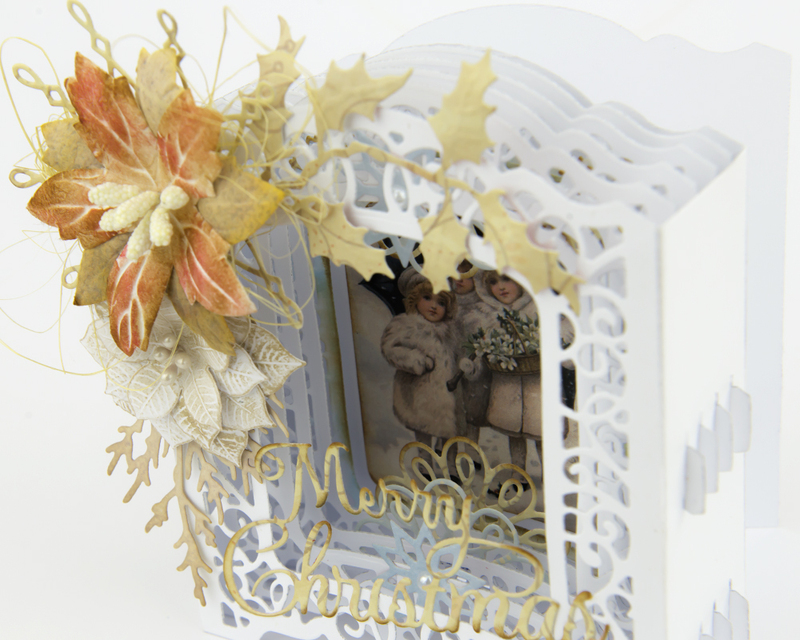 I'd like to share with my next Christmas card from new Charming Christmas Collection. 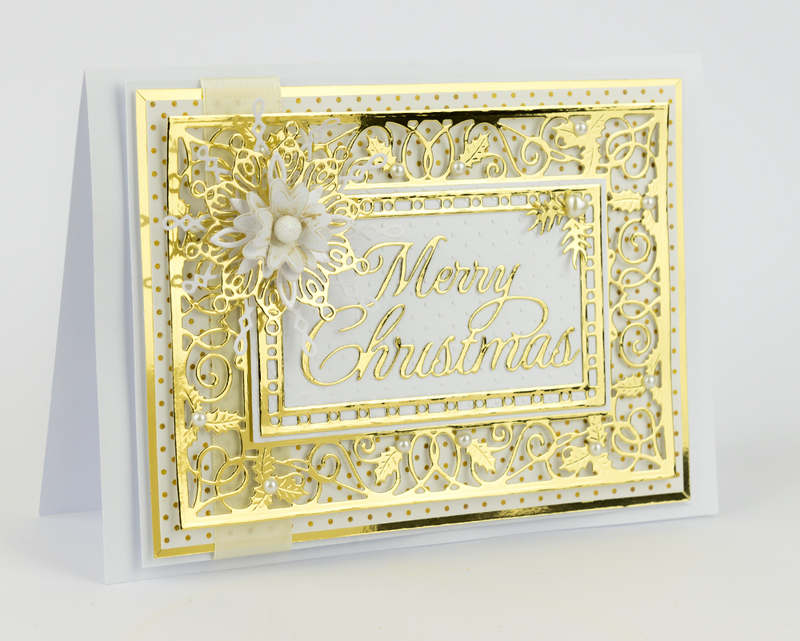 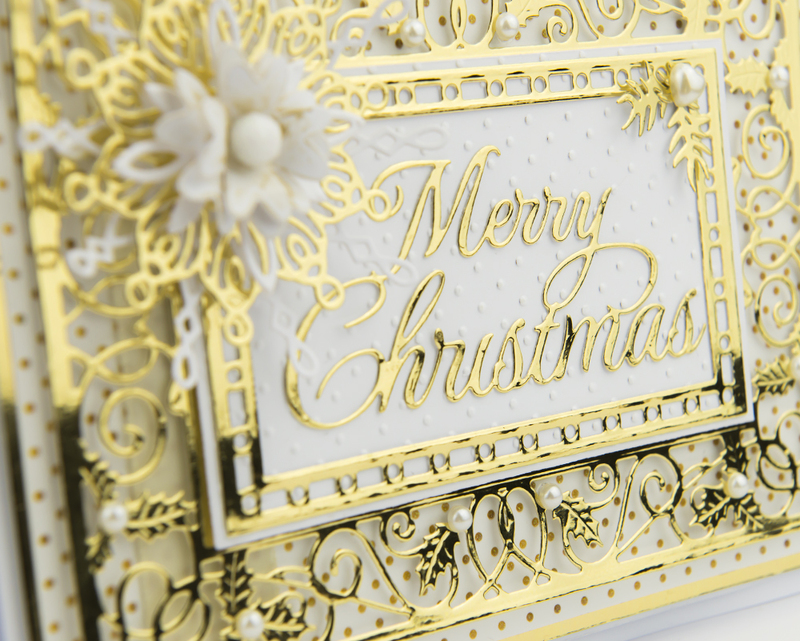 I used white and gold paper to create this card. 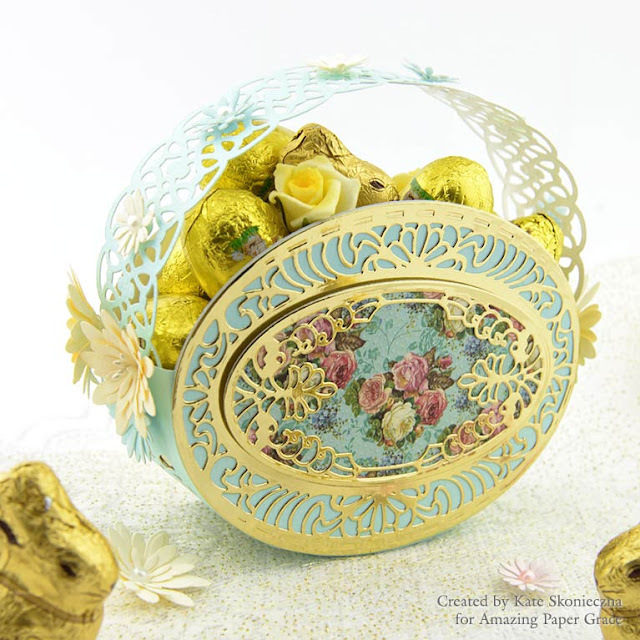 The little flower I've made using Isadora Trinkets Etched Die Venice lace by Becca Feeken.